BarnDoor Lighting Outfitters supplies soundmen and other industry professionals with the highest quality XLR connectors for reliable use on set and on location. 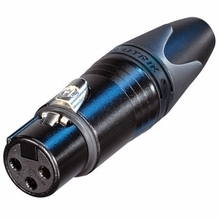 We feature top-of-the-line Neutrik XLR connectors, including 3-pin and 4-pin XLR connectors. 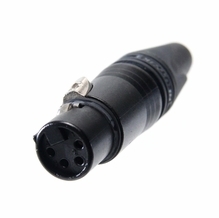 These are the industry standard for professional sound connectors and allow you to build your own audio cables or repair old styles in a pinch. These products are engineered for the best in reliability and ease of assembly. 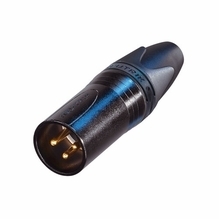 When it comes to XLR connectors, Neutrik is the best choice. They feature easy-soldering designs and additional ground contact for the best contact integrity. 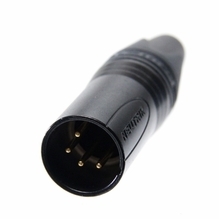 Additionally, many Neutrik connectors are designed to reduce cable strain relief so that you get the most out of your cables. BarnDoor Lighting has been an industry leader for over 20 years thanks to our expert advice and one-on-one customer service. Contact us today with your questions or concerns at 1-888-276-3667 or info@barndoorlighting.com.